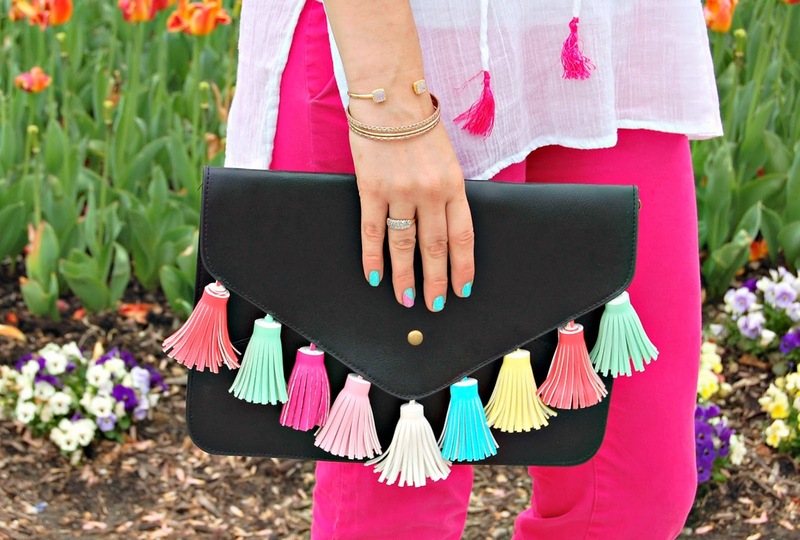 It's amazed me how big of a hit my tassel clutches have been on Etsy. I've sold almost 80! 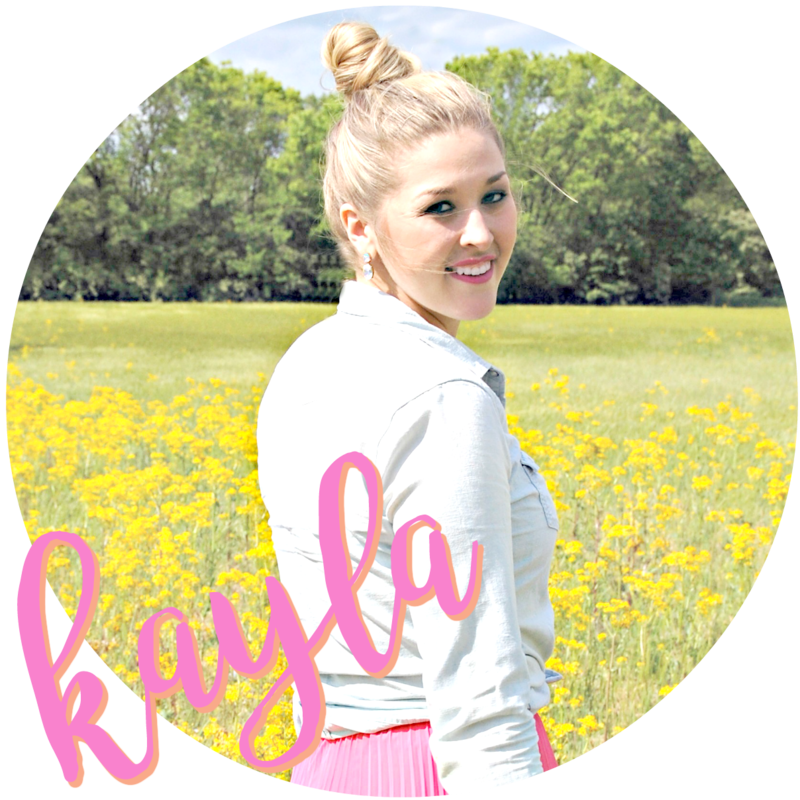 For each of your ladies that have purchase, I want to give you all a big thank you! Thanks for purchasing, but most of all thanks for dealing with lengthy processing times (I hand sewn and make the tassels for each one. The sewing part alone takes 1 hour for each bag! The clutches are shipped from China and take about 1.5-2 weeks to arrive.). After the brown became a big hit, I began to get requests to make a black version. 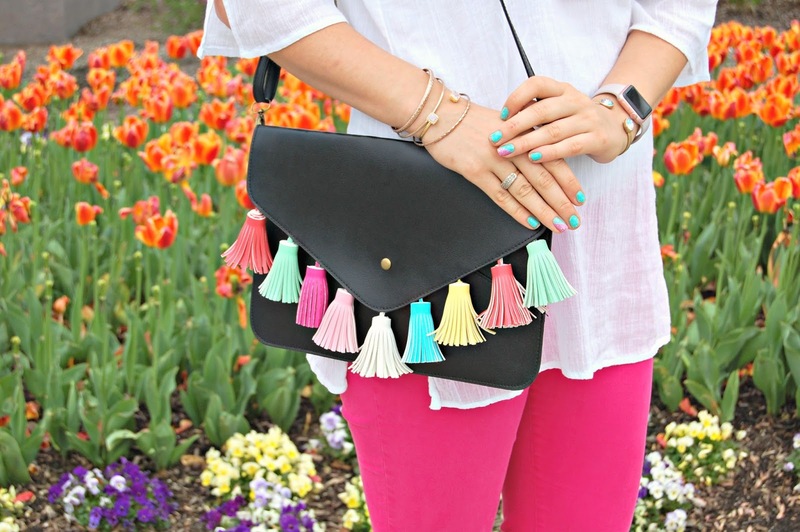 So without further to-do; Here's my DIY version of the black "Sofia" Rebecca Minkoff tassel clutch. I'm so glad they've been such a hit! Wow! You are talented! I love the Rebecca Minkoff bag but I'm just not going to shell out that much money for it. Yours is even better though!